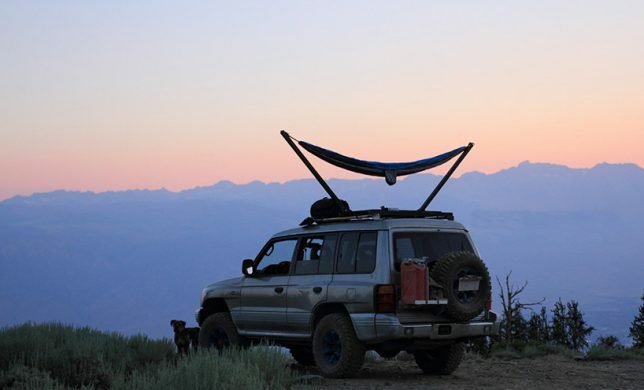 Take your summer lounging to the next level with hammocks that attach to your kayak or the roof of your car, fill up with water like a hot tub or double as a soccer goal. 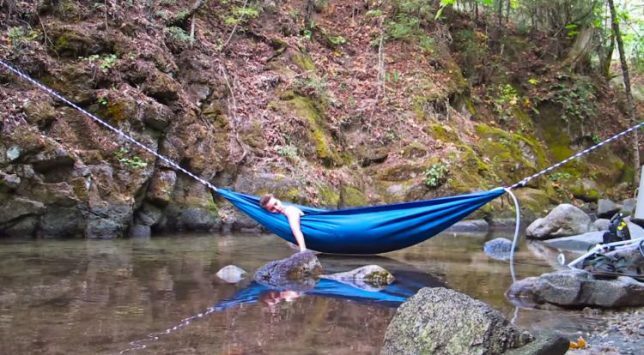 And if you’re stuck at work daydreaming about outdoor adventures, there’s even a stealthy hammock that clamps onto table surfaces so you can hide under your desk and nap. 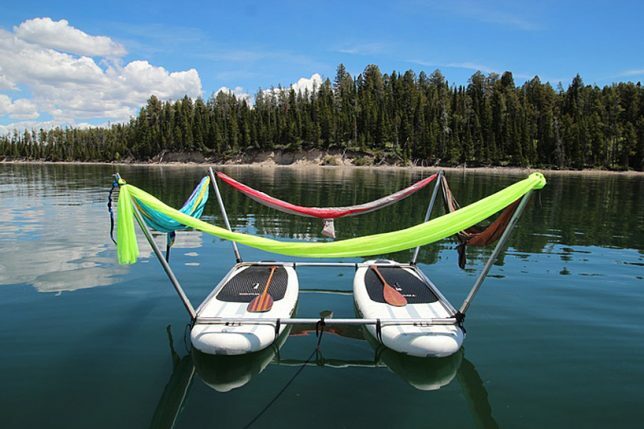 Designed for use by 2-4 people, the modular Hammocraft system lets you lounge while cruising down gentle rivers and and lakes. 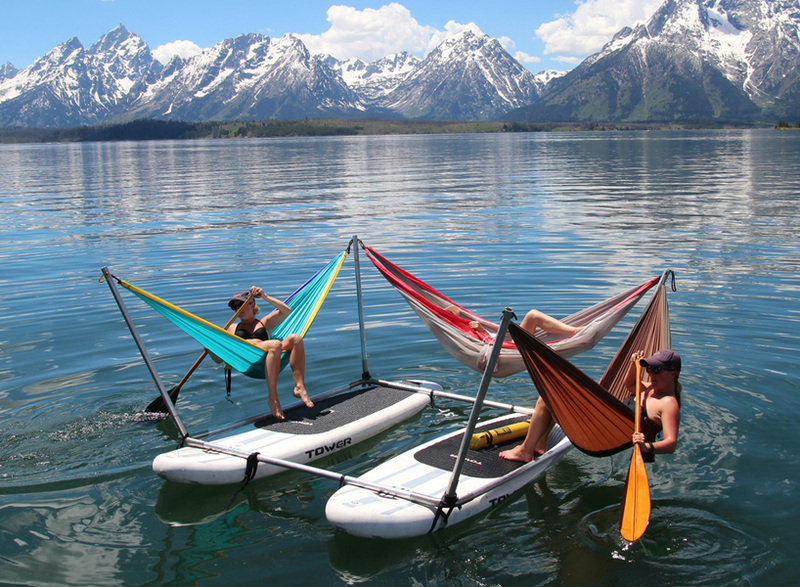 It can be assembled on top of kayaks, paddle boards, river rafts or on dry land. 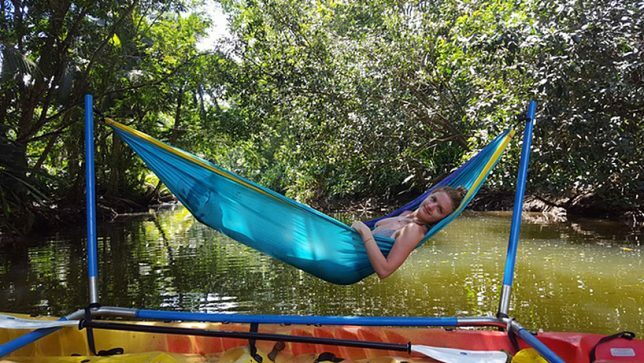 Can you think of a more comfortable way to cruise through a beautiful natural setting? 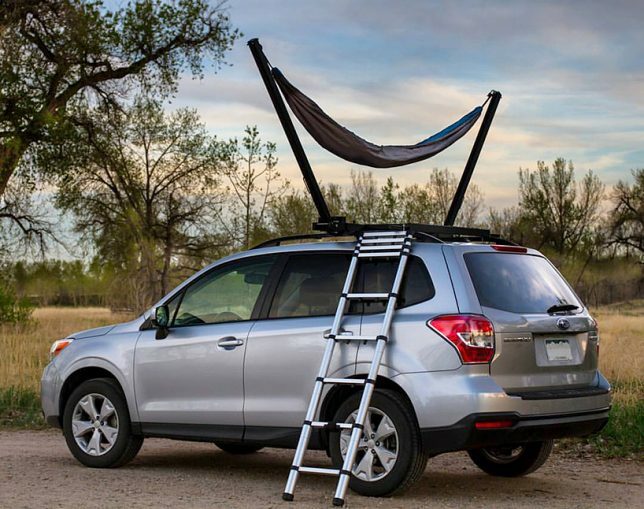 Camp out under the stars virtually anywhere your vehicle can take you with the Trailnest, a simple hammock stand that clamps onto your roof rack in a one-person or two-person setup. 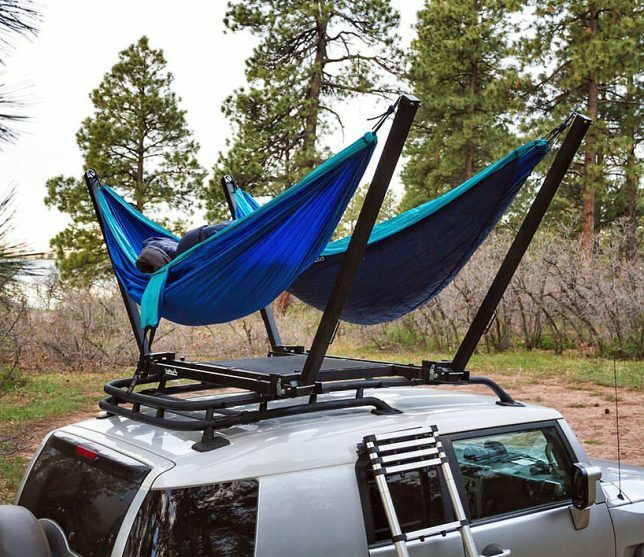 It folds up for easy transportation, works with any hammock and gives you uninterrupted views of your surroundings while keeping you well above all the critters that scurry around on the ground at night. 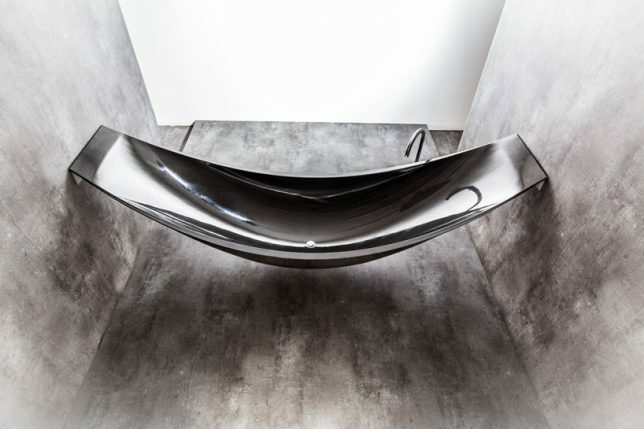 Made of strong carbon fiber wrapped around a foam core, which insulates the water to keep it hotter for longer periods of time, the ‘Vessel’ by Splinterworks makes bath time more relaxing than ever. 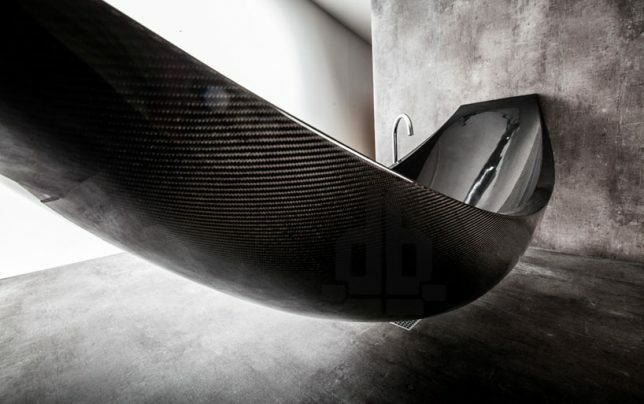 The unique design mounts to the wall with steel brackets and empties into a drain in the floor. 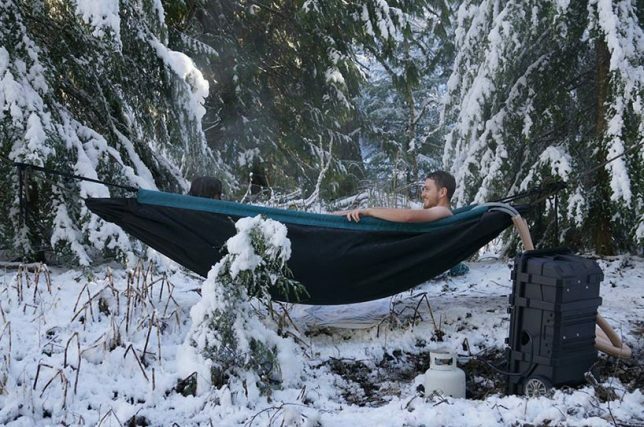 The Hydro Hammock is an instant portable hot tub you can set up almost anywhere, using the accompanying suitcase-like water pump and heater to fill it up from a hose or body of water. 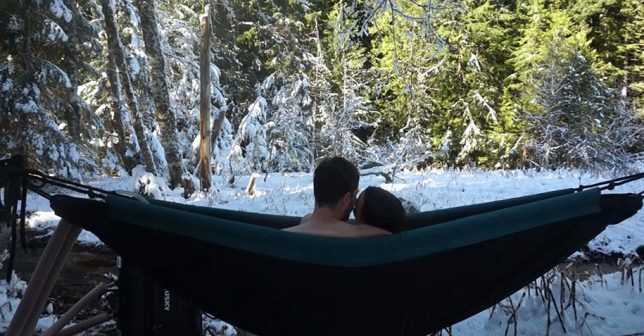 It’s made of sealed synthetic high-tensile-strength fabric that can support the weight of two adults and fifty gallons of water. 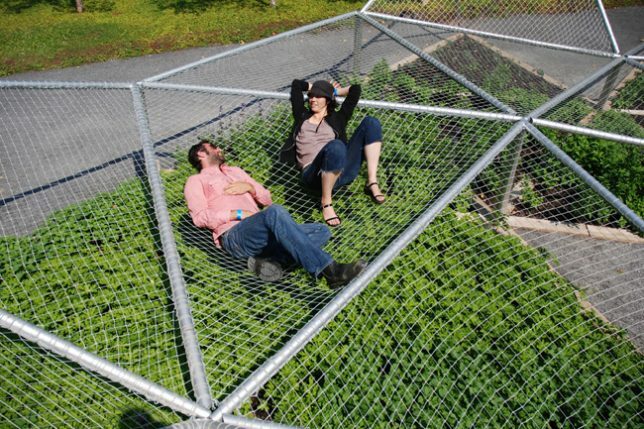 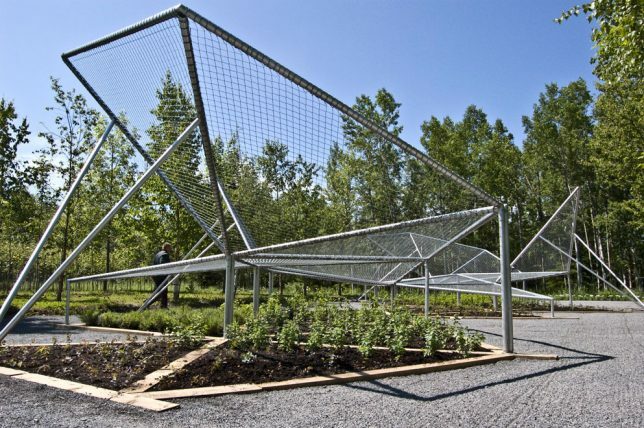 Installed over a bed of fragrant, relaxing herbs like lavender and rosemary, the Dymaxion Sleep structure is a network of nets inspired by Buckminster Fuller’s Dymaxion World Map – an unfolded icosahedron. 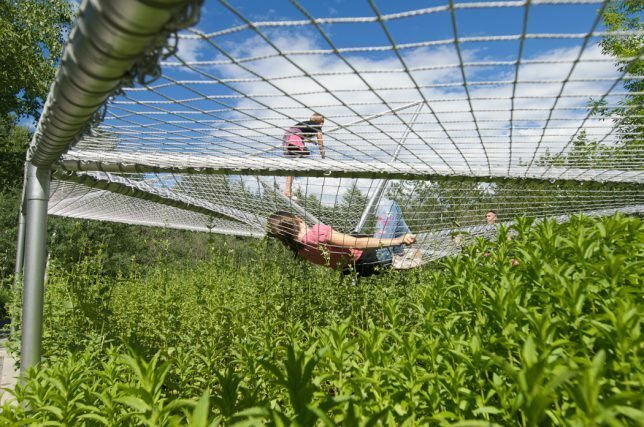 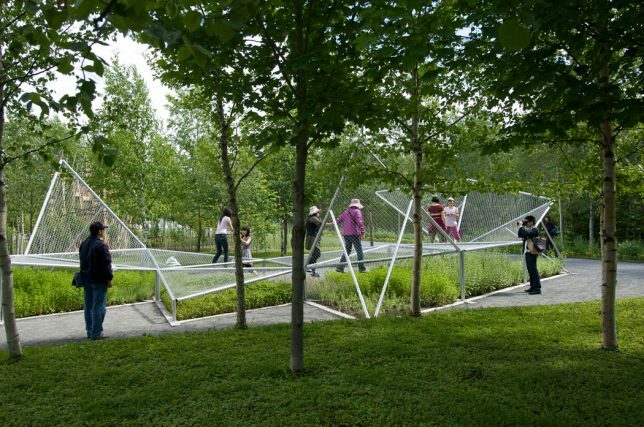 Created by Jane Hutton and Adrian Blackwell, the structure provides a large-scale hammock for groups to lounge outdoors.